The Rocks are generally looked upon as useless and regular, but I am here to tell you rocks are the coolest thing ever. 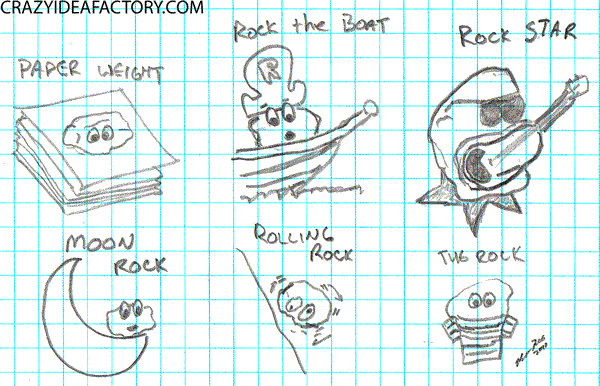 I drew up six fun things to do with rocks below. The paper weight: Ya, I know not very origional. Rock the Boat: Sail the seven seas with the daring and ruthless Captain Rock the Boat. Rock Star: Rockin tuns from a true rock musician. Moon Rock: He sits up high on the moon, just keeping an eye on things. Rolling Rock: Prometheus pushes him up the hill, and he just wants to roll back down. The Rock: Always trapped because you can’t teach a rock swim. 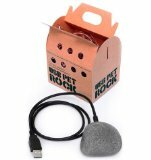 There is also the Pet Rock, but ThinkGeek already makes a USB one, see below.